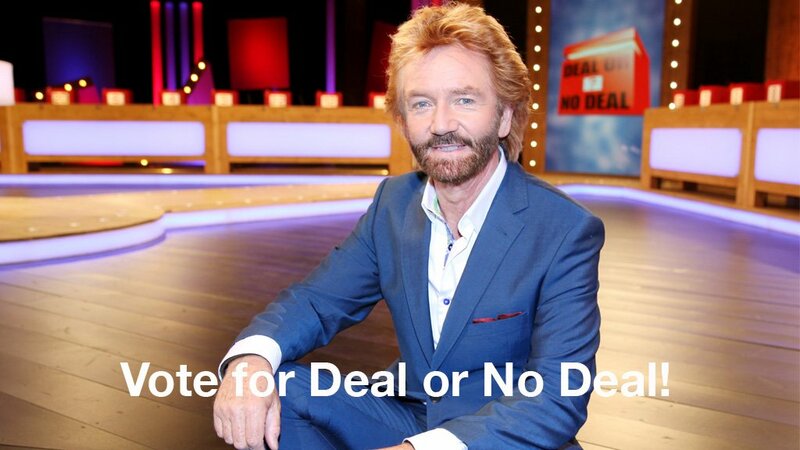 These terms and conditions (“the Terms”) set out important information regarding your rights, obligations and the restrictions that apply when you enter the ‘Ideal Christmas Deal or No Deal free prize draw’ (“the Prize Draw”) by completing and submitting the competition form (“Form”) on the Deal or No Deal website (“Website”). By entering the Prize Draw, entrants accept and agree to be bound by the Terms. The promoter of the Prize Draw is Endemol UK Ltd at The Shepherds Building Central, Charecroft Way, Shepherds Bush, London W14 0EE (“Endemol”). Details of the Prize Draw are displayed on the Website (“Prize Draw Details”) and are incorporated into the Terms. In the event of differences between the Terms and the Prize Draw Details, the Terms shall prevail. 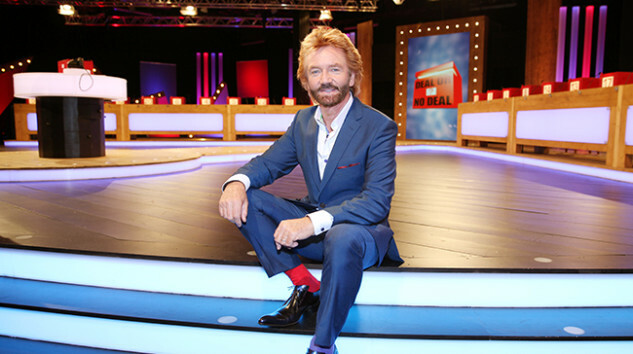 There will be one (1) winner of the Prize Draw who will win a Deal or No Deal box (such box to be selected by Endemol in its sole discretion) (‘the Prize’). Endemol reserves the right to cancel or amend the Prize Draw or the Terms at its sole discretion and without notice in the event of any event outside Endemol’s reasonable control. Any changes will be an amendment to the Terms and/or to the Prize Draw Details. 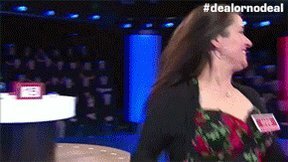 In the event of any dispute regarding the Terms, conduct, results and all other matters relating to the Prize Draw, the decision of Endemol shall be final and no correspondence or discussion shall be entered into. Entrants must be aged eighteen (18) years or over and a resident of the United Kingdom. The winning entrant will be required to show proof of age. Employees (or members of the families or households of employees) of the Endemol Shine Group or any company involved in the Prize Draw including, if relevant, employees of any advertising agency or website development company connected with the Prize Draw or any subsidiary or associated companies of the same, are not eligible to enter the Prize Draw. Endemol reserves the right not to award the Prize (and to select an alternative winner) if Endemol is aware or has reasonable grounds to suspect that a winner is not eligible for these reasons. By entering the Prize Draw, you hereby warrant that all information submitted by you is true, current and complete. Endemol reserves the right to verify the eligibility of all entrants and disqualify an entrant for submitting false information. The information you provide with your Prize Draw entry will be used in respect of prize fulfilment so please make sure this is correct. The Prize Draw is only open to those with internet access. Endemol reserves the right to disqualify any entrant if it has reasonable grounds to believe the entrant is not eligible or has otherwise breached any of the Terms. 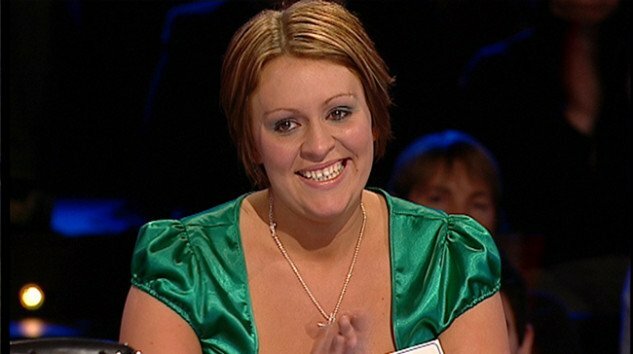 In the event that any Prize Draw winner is subsequently disqualified from the Prize Draw for any reason, Endemol, in its sole discretion, may decide whether a replacement winner should be selected in accordance with the Prize Draw criteria. You may only enter the Prize Draw once. Any subsequent entries from the same email address will be ineligible. Where Endemol discovers or has reasonable grounds to suspect that any entrant has used any software or automated process to enter the Prize Draw or to make bulk entries, Endemol may exclude such entries and disqualify the entrant from the Prize Draw. 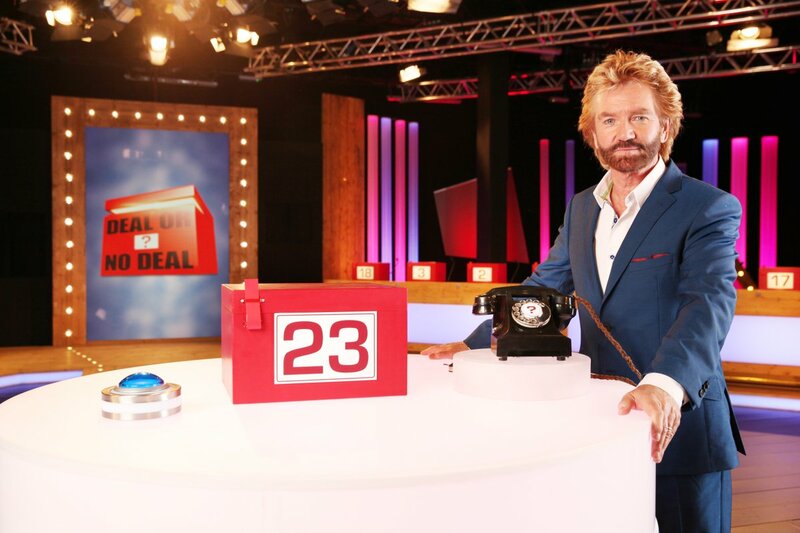 To become eligible to win the Prize Draw you must have completed (in full) and submitted the competition form on the Deal or No Deal website during the period commencing 12:00 on 22 December 2016 and expiring at 23:59 on 8 January 2017 (“the Submission Period”). Entries must be submitted within the Submission Period, all entries made after this time will not be counted. One winning entrant from all eligible entries will be selected at random within seven (7) days of the end of the Submission Period. The winning entrants will be selected by a computer process that produces verifiably random results. There is no minimum or maximum number of entrants for the Prize Draw. Entrants agree that if selected as the winning entrant they will be notified by Endemol via the email account they used to enter and when contacted by Endemol agree to supply their name, postal address and any other relevant details for the purposes of prize fulfilment. Return of any prize notification as undeliverable or failure to reply as specified in the notification (and within the time stated) may result in disqualification and selection of an alternate winning entrant. 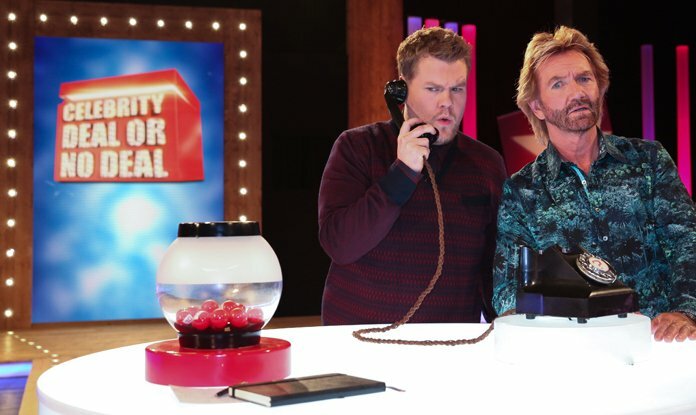 If the winning entrant fails to provide their name, postal address and any other relevant details (including without limitation evidence to verify the age, identity and/or eligibility of the winner) to Endemol within ten (10) days of Endemol notifying them that they have won a Prize, Endemol may disqualify such entrant and select another winning entrant. Claims for the Prize must be made in the manner and within the time specified in these Terms. The Prize will be sent by first class recorded delivery to the postal address provided by the winner. Endemol will not be liable for any delay in the delivery of the Prize. Endemol reserves the right, where necessary, to undertake all such action as is reasonable to protect itself against fraudulent or invalid entries including without limitation to require further verification as to the identity, age, consent or other relevant details of the entrants. Where no such written proof is supplied, or the entrant does not meet the eligibility criteria, Endemol may disqualify the entrant. The winner may be requested to take part in post-event promotional activity and Endemol reserves the right to use the name of the winner, their location, their photograph(s) and/or audio and/or visual recordings of the winner in any publicity, including on the Website. Entrants acknowledge and agree that the winner may be expected to appear on Endemol’s digital platforms and/or channels and that if the winner agrees the winner will enter into a release with Endemol for such contribution to enable Endemol to exploit such contribution worldwide in all media in perpetuity. 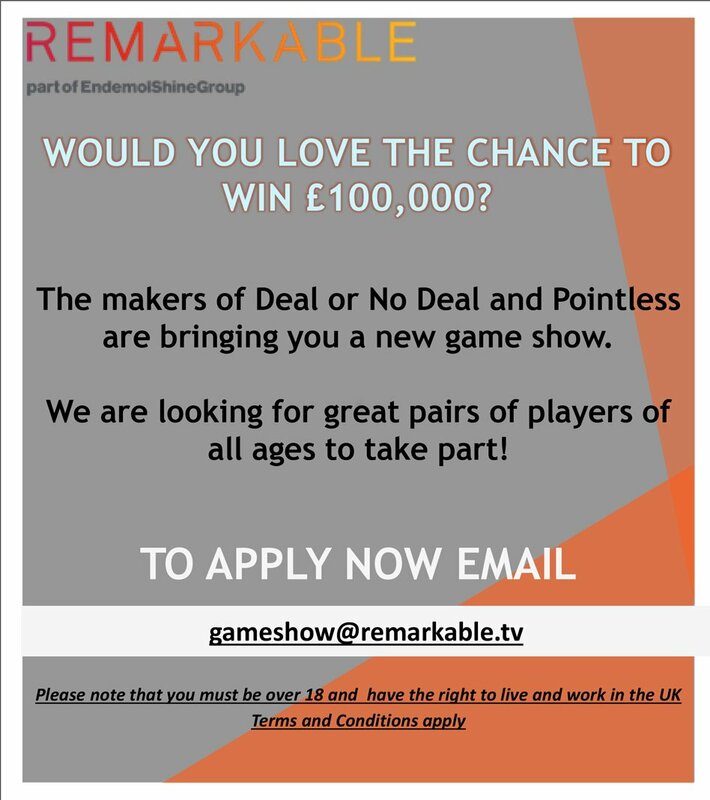 The winner’s name will be available on written request from Deal or No Deal Website Administrator, Endemol UK Ltd., Shepherds Building Central, Charecroft Way, Shepherds Bush, London W14 0EE . Prize Draw entries must be made in the manner and during the Submission Period as set out above and in the Prize Draw Details. Failure to do so will disqualify the entry. Endemol reserves the right to reject and or disqualify any entry in our sole discretion including without limitation for a breach of the Terms. There is no charge to enter the Prize Draw. However, standard mobile data and/or internet connection charges may apply. Endemol cannot accept responsibility for any error, omission, interruption, deletion, defect, delay in operation or transmission, communications line failure, theft, destruction, alteration of or unauthorised access to entries, or entries lost, damaged or delayed as a result of server functions, technical issues, virus, bugs or other causes outside Endemol’s control. The Prize shall be awarded at Endemol’s discretion and Endemol reserves the right to amend, cancel or modify any aspects of the Prize due to circumstances outside of its control. In such circumstances Endemol shall award an alternative prize of equal or greater value at any time in its sole discretion. The Prize carries no cash value, is non-transferable and may not be substituted by the winner. There is no cash alternative for the Prize and no compensation will be payable if the winner is unable to take the Prize as stated. 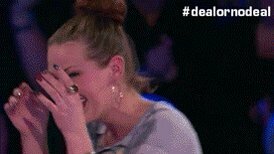 If the winner is unable to take their Prize, Endemol reserves the right to select a new winner at random from the remaining entries. For the avoidance of doubt the Prize does not include winning the sum of money contained inside the box; the Prize comprises the box only. Entrants acknowledge and agree that the winning entrant shall not under any circumstances whatsoever sell or transfer the Prize or any part thereof to any other person(s). In the event you are the winner you undertake that you shall not unless authorised in writing by the Company at any time hereafter make any statement or disclosure or supply any information or photographs to any person firm or corporate body or to the public relating to the Prize Draw or to any matter arising hereunder including but not limited to announcing the result of the Prize Draw on any media whatsoever. The winner will be asked to confirm that they will not post on social media or any other online platforms portraying Endemol or the Prize in a negative, disparaging or unsavoury manner (as determined by Endemol). 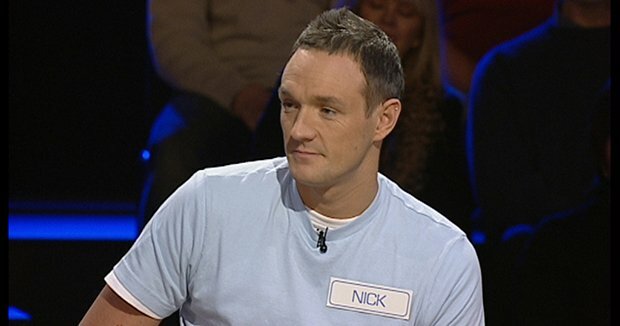 If there are any issues with the Prize these should immediately be brought to the attention of Endemol for resolution. Any individuals seen to be contravening this may be disqualified from the Prize Draw and/or their entitlement to the Prize may be forfeited. Endemol accepts no liability for any failure to perform their obligations arising from internet connectivity issues, force majeure, labour disputes, strikes or lock outs or any other cause beyond the control of Endemol, including but not limited to accidents to or failure of the Website platform, or any other part thereof or any machinery or apparatus use in connection therewith. Any information submitted by you must be personal to and relate specifically to you. You warrant that all information which you submit will not infringe the privacy or any other rights of any third party, and will not contain anything which is libellous, defamatory, obscene, indecent, harassing or threatening. Endemol reserves the right to screen, filter and/or monitor entries for this purpose. Endemol cannot accept any responsibility for any damage, loss, injury or disappointment suffered by any entrant entering the Prize Draw or as a result of accepting the Prize. Endemol is not responsible for any technical issues in relation to any telecommunications or internet network (including in relation to speed or bandwidth), including any injury or damage to entrant’s or any other person’s device related to or resulting from participation or downloading any materials in the Prize Draw. Nothing shall exclude Endemol’s liability for death or personal injury as a result of its negligence. By entering the competition entrants agree to indemnify and hold Endemol and its affiliates harmless from any and all claims, damages, expenses, costs and liabilities relating to any breach by you of the Terms. Any dispute or claim arising out of or in connection with the Prize Draw shall be governed by and construed in accordance with English law and entrants irrevocably agree that the Courts of England shall have exclusive jurisdiction to settle any dispute or claim that arises out of or in connection with the Prize Draw.